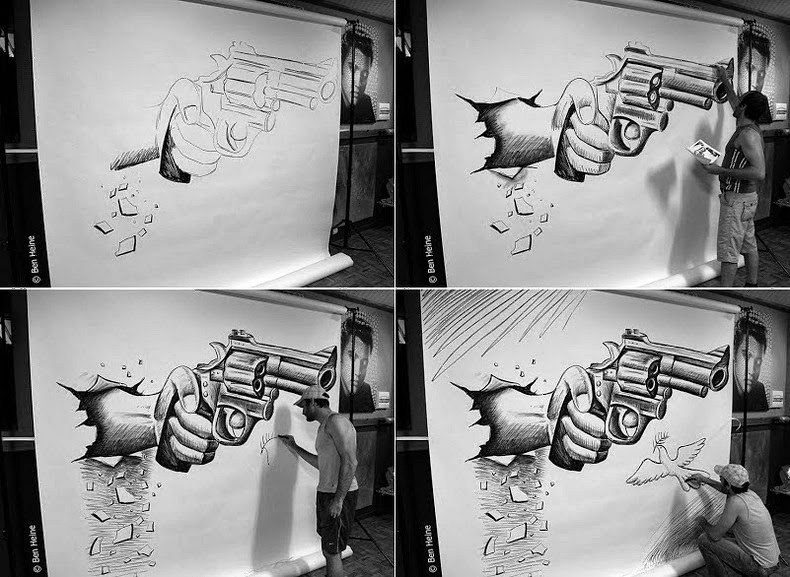 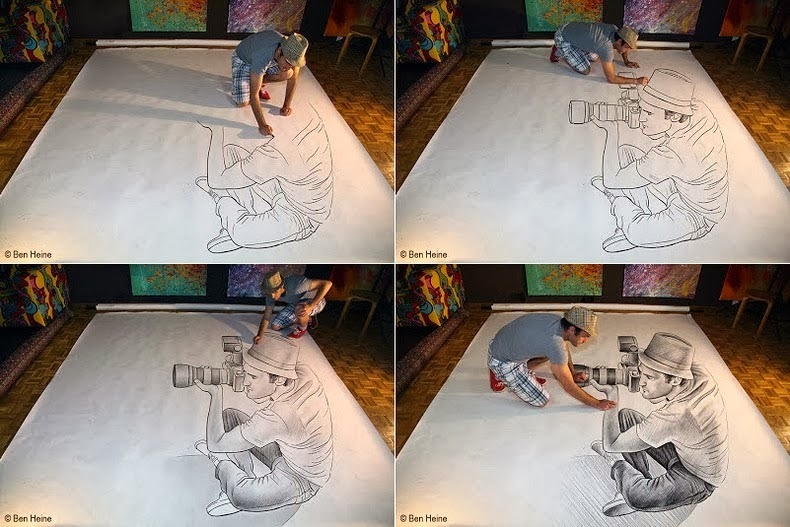 Belgian artist Ben Heine, who started the fascinating ‘Pencil vs Camera’ photo series in 2010, that feature a photograph of sketches held up against a real-life background, has created these stunning pencil sketches that appear to jump out of the canvas. 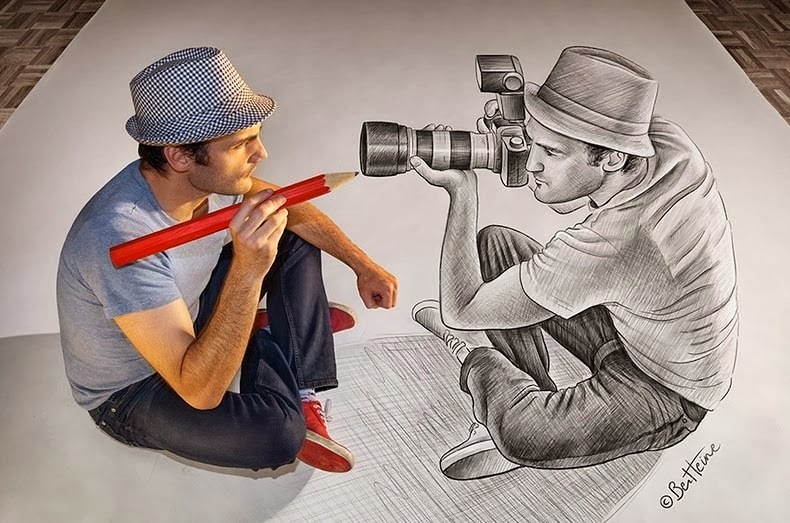 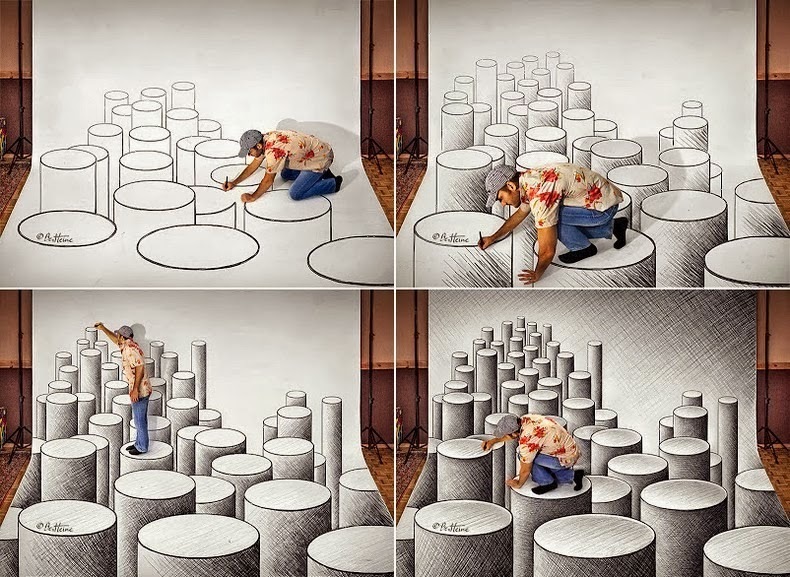 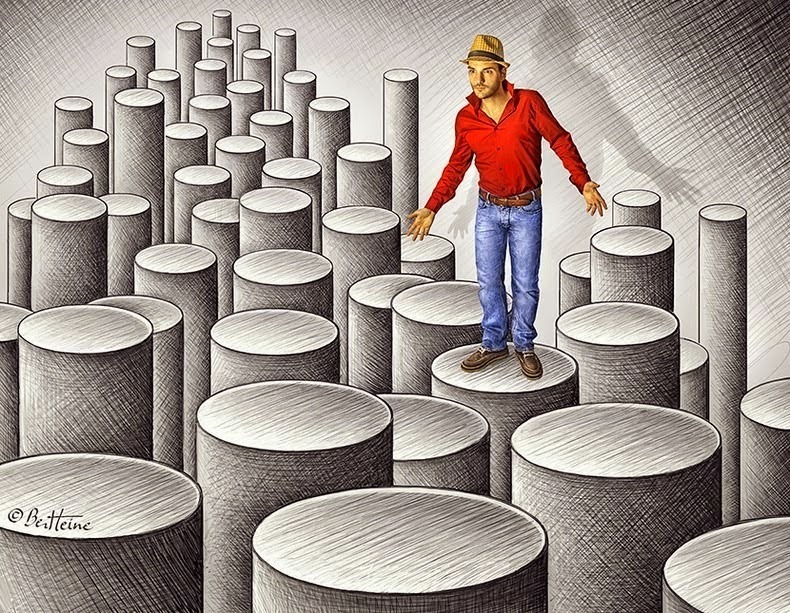 Heine’s technique is known as anamorphosis, an optical illusion that requires the viewer to occupy a very specific vantage point (see Wladimir Inostroza, Alessandro Diddi, and Kurt Wenner). 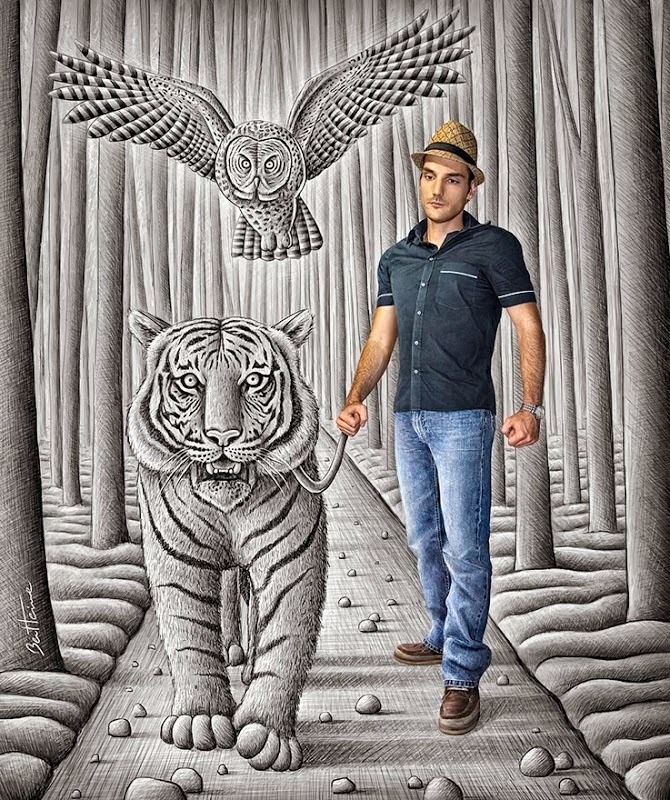 Ben Henine’s specialty is the enormous size of his canvases, large enough for the artist himself to pose with them and become part of the whole composition. 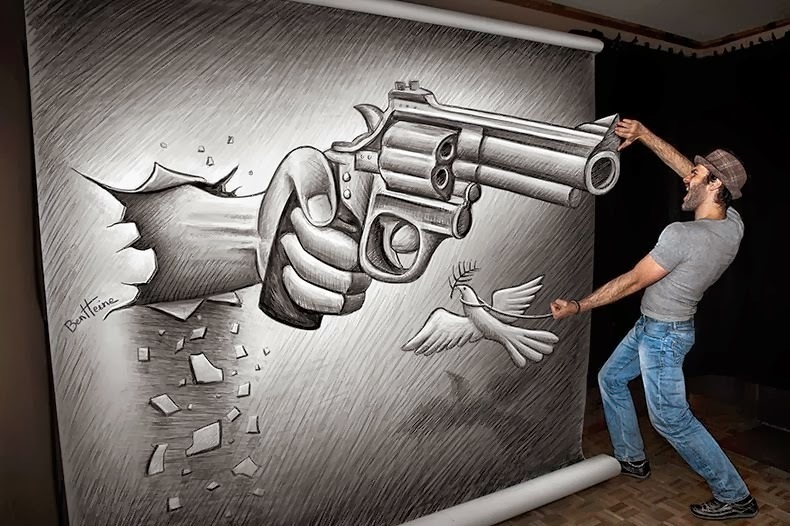 The sketches measure 13 feet by 10 feet and are done in freehand before being retouched. 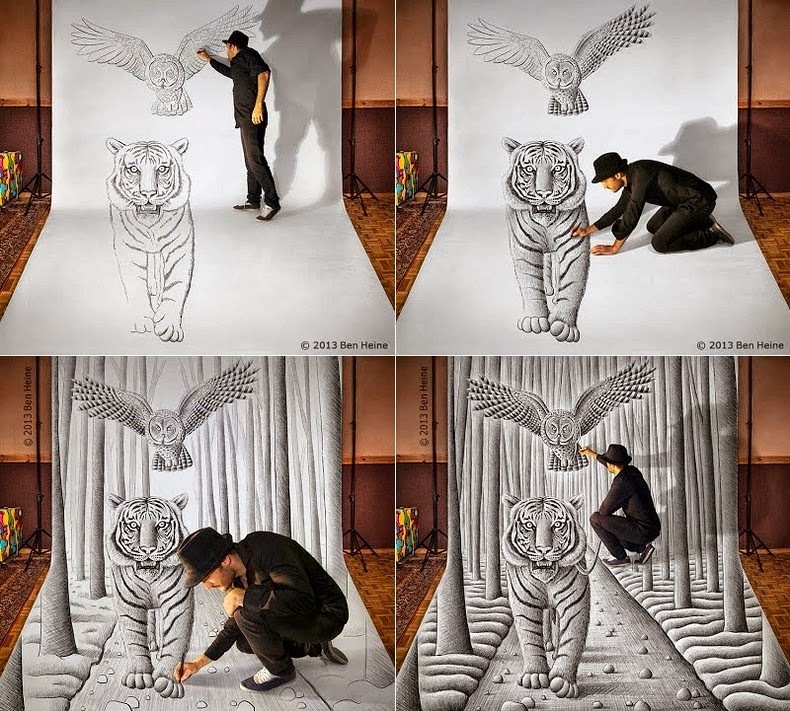 Each can take a week to complete.